It took me a second to process her logic, though I see how she thinks a good workout would make you tired. But it was the opposite of my experience. Yoga class leaves me full of vitality. Though when I told her this, I don’t think she really believed it. It got me thinking how some things are counter-intuitive to what actually happens, especially when teaching kids. We start off thinking one thing then the opposite ends up being true. These come up in my kids yoga teacher training weekends with teachers who haven’t had much face time with real children. After this interaction with my friend, I thought looking at some of the illogical things about kids yoga would make a worthy topic for the teacher tips today. Kids full of energy after school. Exercise Makes You Tired: Remember what my friend though about exercise? It’s true for kids too. Often teachers think that if you have a class right after recess the kids will be more relaxed, but often the opposite is true. Kids come in from playing outside full of energy, especially if they only had 15 minutes to play. This is also true within a kids yoga class, like in active exercises like a freeze dance or “fish fry” (imagine you’re a fish lying in a hot frying pan and jump all parts of your body of the ground like you are sizzling). Most kids get re-energized by the movement. Consider: Begin the class with a cool down period. Deep yoga breaths work or slow moving exercises like arm raises with deep breathing. At the end of class devote at least 5 minutes for relaxation so you don’t send the kids off all pumped up. At first many kids will say they are NOT tired, so let those kids meditate while the other kids lie down. After a few minutes of meditation, my experience shows most of the kids lie down. The relaxation time will help them finish relaxed with energy. Relaxed with energy sounds illogical but feels great! May I have your Attention Please….We’re all used to announcements that get the attention of a group. If a teacher consistently shouts above the noise of children they’ll end up with a sore throat and a miserable class in no time. Consider: whispering to get a group’s attention or better still don’t saying anything and let the lights, clapping, a song, or a prop speak for you. Happy teachers know this reverse logic but if you ask kids they’ll report many teachers who yell to get attention and most of them don’t come across as happy either. Stories and Yoga: In teacher training many people ask what they should say to get the kids from one pose to another. They go to great lengths to make up stories with a logical sequence. I used to do this in my first year teaching. Felt Board Stories for the beginning and end of class. Consider: Kids logic is not the same as adult logic. Stories can jump from one place to another as long as everyone is having fun. Indeed, in my classes I mostly just say, “now do ____ pose” without giving a story, game, or reason. The kids just like to do yoga. But if you like stories, the younger children will rarely question your logic. You can be at the zoo one minute and heading to the moon the next. Older children will question. As kids get older I tell fewer stories during the yoga, I save them for the beginning or the end of class. I tell stories for their lessons not to get the kids to do poses. We all have times where we’ve planned out logically what should happen and the opposite is what manifests. When we realize that the premise for our logical assumptions is faulty, or our conclusion turns out to be faulty, its time for a logic shift. It only makes sense. Have you ever experienced these three situations with kids coming in from recess, quieting a class, or making up stories? What happened? Please share your thoughts in the comments. Aruna, you are so right on the counter-intuitive approach to getting children’s attention. I remember in a teacher I had many years ago. She had the voice of a mouse and I wondered how she would be able to keep the attention on a large group. It was amazing – the softer she spoke, the quieter and more attentive the students were. Also, I love your idea about using stories to teach concepts and to get thoughtful discussion happening. I loved the felt board idea but didn’t have access to felt so I used something else. I used a big piece of Flip Chart Paper, and then printed out pictures from Clip Art. I have the children help me as I tell the story by giving them a small piece of tape to tape the picutre onto the page. At the end I carefully remove the tape so I can reuse the pictures. They love the approach and the stories – of course, these are stories that I learned in your Teacher Training Course! All brilliant! Thank you! Great idea for story time using Clip Art and getting the children to help you tell the story. That could work with felt or paper. Thanks for the comment. Our kids live in a busy and hectic world. Adding another event like Yoga can make their life even more stressful. So Kids Yoga Instructors should be very careful about that. They need to make their class, teaching procedures, and methods interesting enough and make the children feel good. 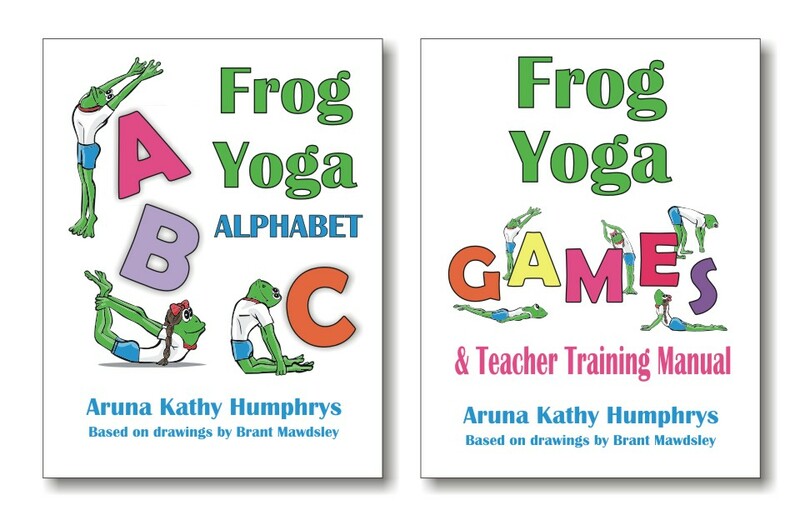 Stories can definitely be effective to make the kids do what you want them to do…Initiate and motivate them to do those things, especially this yoga…. SO true! Just last week we did everything backward in a kids yoga class, because there were a lot of unusual disruptions in the space we practice. It kept the focus for everyone, beginning with savasana, and ending with games. I would love to hear more about how you use the felt board stories. Hi Lori, the backward class sounds like fun! Just wondering if you’ve even heard of felt boards, i.e. how much info are you looking for? Let me know. The felt board stories are a great way to calm kids down. I cut out characters and scenery to tell a story in felt. Originally I used google images to find templates – especially good for stories with animals. I use a black background (also felt). The felt pieces cling to the felt background which makes it a popular tool for teachers, especially with younger aged kids. Since kids love stories its a way to help them calm down, focus AND stay interested. I just tell the story and put the felt pieces up on the felt backing, like doing a play for them. I have two felt board stories in my curriculum in the Kids Yoga Teacher Training weekend course I offer and I give everyone the templates so they can cut out their own pieces. But some teachers tell me they just tell the stories without the pieces. I like the pieces because it gives the kids something to look at and reinforces the story for those who don’t hear and comprehend as fast.